Pre-Listing and Marketing Presentation - Order Now! As a real estate agent, you know the importance of that initial listing appointment. Imagine walking into that listing appointment, armed with a full marketing presentation, outlining everything that you're prepared to do to SELL their home. 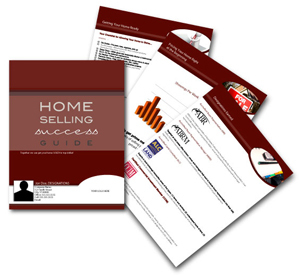 Our Pre-Listing and Marketing Presentations are a fully customizable, two phased system that is sure to turn more leads into listings. The Pre-Listing Presentation should be snail mailed, emailed or dropped off prior to a face-to-face meeting. We include two different letters within this package - one letter will be for a prospect with whom you are requesting to schedule a meeting. 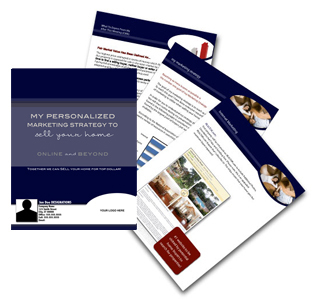 In each letter it will be important to indicate that you will would like to present your personal marketing plan for THEIR HOME to the prospect at the face-to-face meeting since it is not included in the Pre-Listing Presentation. For the prospect that you have already scheduled an appointment with, the goal is to educate them and prepare them for your meeting. You may re-visit points outlined in the Pre-Listing Presentation during your face-to-face meeting, however you’ll feel confident that they are already somewhat educated on your ideas and marketing strategy, having received the Pre-Listing Presentation prior. Perusing your Pre-Listing Presentation is sure to pique their interest. They can see that you are organized, prepared and professional. Setting up a meeting in person with you is their logical next step to see what else you have to offer. The Marketing Presentation will be presented in person by you and will showcase your marketing strategies, efforts and plans. We will customize it for you, going over every tactic that you use, while spelling it out for the prospective client in a way that they’ll understand. Plain and simple. 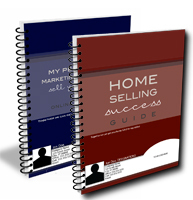 You showcase your extensive marketing efforts and inevitably win over the seller so that they list their home with you! Order your package now! Don't miss another chance to land that listing! *Please note: Upon purchase and after customization, we will provide an electronic PDF of the Pre-Listing and Marketing Presentations. You are responsible for any 3rd party printing services and/or fees, if applicable. To request your pre-listing and marketing presentations, please contact us!